This post by The Ruiner is the closest I’ve seen anyone else articulate what I’ve been sensing and saying for years now. Discernment advised; I make no claims of insider information, but I’ve noticed this trend in sessions, years ago received a direct intuitive knowing of this material, and have also watched the choices play out in my personal life and the lives of those I know and love. I particularly agree with the comments about “She” self-correcting, the “She” being our planet Herself. This goes back to my earlier article about CERN triggering a Sophianic Correction — that some switch will flip, regardless of the intentions behind CERN, such that it creates an opening in which conscious people can choose to hop over to an alternate side reality, a much preferred and natural existence, even though CERN’s trying to block something incoming from outer space. Anyway, read it and see what you feel and notice as you read and as you observe stronger and stronger choice points in your life and your creations. As to the rest of The Ruiner blog, I’ve not had time to read through everything on there, but a lot of what I’ve read in both posts and comments checks with info I’ve received in other ways — either through direct experience, intuition, or observation of thousands of clients’ lives in context of world events. Having intimate, deep and very unusual conversations with awakening and awake people from all over the world on a daily basis informs my perspective in ways I would not have access to if I did a different type of work. UPDATE: Posted at exactly 1111 words before this update! We’re in a time of powerful endings and beginnings. These transitions will shake many to their core, creating sudden and unexpected timeline shifts. Today’s 25° Aries lunar eclipse emphasizes the need for freedom, balance and change. Aries is the first sign of the zodiac and holds the energy of new beginnings. Fear and anxiety may arise as we are faced with changes large and small to our way of life. That which is working and spiritually-aligned in our lives will grow stronger during this time while that which is not working will begin to fall away. It is important to be willing to take action in areas of your life now. A lunar eclipse occurs during a full moon when the earth moves exactly between the sun and moon, interrupting their natural connection. Everyone feels the effects of an eclipse differently. The type of impact and its intensity and duration depends on where an eclipse falls in your astrology chart. This eclipse will strongly affect people with personal planets and points of approximately 20-30° of cardinal signs. If an eclipse falls within 3° of a planet or an important point in your chart by conjunction or opposition, it is of special significance to you. This lunar eclipses opposes Libra. The nature of our planets impacted by the eclipse offers clues to the experiences that lie ahead. The house where this eclipse falls in your chart will determine what part of your life is most affected. Relationships are at the core of the changes taking place. We may find ourselves trying to strike a balance between being close to someone and following the intense desire to be free. Be prepared to embrace change and accept endings that are triggered now. When people and circumstances leave your life, this opens a space for the new. As we sit in silence we feel the first stirrings of new desire. The lunar eclipse energies of this time will steer us toward starting over in some area of our life. Emotions will run high during this very intense eclipse period as many feel put to the test. Lunar eclipses tend to stir up the emotional body, prompting anything that lies hidden to rise to the surface. This lunar eclipse may bring up our shadow side so we can bring awareness and acceptance. One thing is for certain – anything that has been swept under the rug or repressed within the subconscious will be dredged up during this eclipse. The key to working with this time is to summon the courage to exist in the void for a time. This is the trial by fire, the dark night of the soul as we sit in silence, accepting observing with alert awareness, trusting in the higher order of the universe and calling on the strength, wisdom and love that exists within our soul. Keep in mind as you move through this time that the void is the place of new beginnings, new ideas and all things creative. 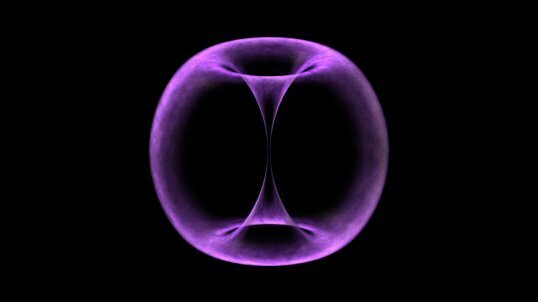 Inside the void a new and more spiritually aligned and empowered future beckons. When we allow ourselves to exist within the void, we open the door to a wealth of new potentials. At the energy level, all things are truly possible. This is the place where we re-invent ourselves, where we give life to our dreams, and plant seeds that determine the shape of our future. This is an excellent time to focus on healing and clearing the past to make way for the new. Clearing clutter and passing on things we no longer need are important now. As we move further into the clearing process, our attention is drawn to the fears and insecurities that have held us back for so long. When we shine the light of our awareness on these fears, they start to lose power over us. Sit with whatever emotions rise to the surface now. Change can be painful at times. As we release resistance, it’s easier to release old structures we have outgrown and move toward that which empowers us. This is also a good time to further develop a talent or skill, or develop an entirely new skill. Psychic sensitivity may be off the charts during this phase. It’s a good time to develop intuitive skills. Our creative and artistic talents come to the forefront at this time. As we follow our creative impulses, we find healing and new gifts to share with the world.